"Have no fear of perfection, you’ll never reach it." 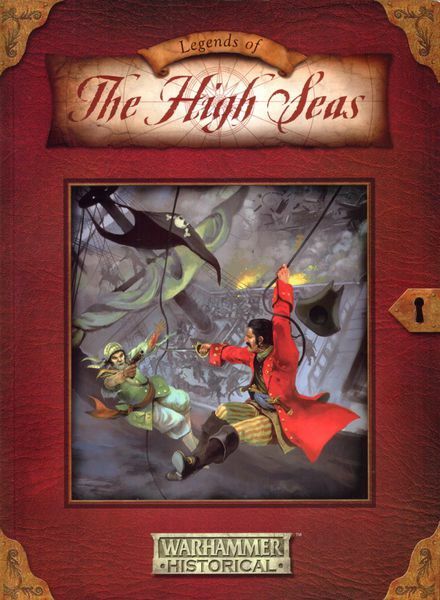 Anyone of you still playing this great classic skirmish pirate game? The Merchant Shop is the latest addition to Tabletop World's range of medieval/fantasy buildings. 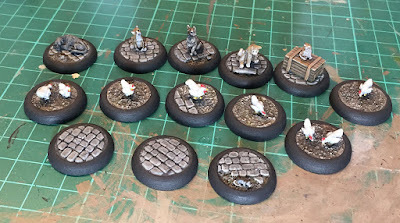 In this blog post I take a closer look at the model and explain why I believe that it is their best building yet. We proudly present you our new Merchant Shop in heroic scale! This is the first in the line of models that will take your gaming experience to the next level! Apart from highest attention to detail we had game-play in mind when creating the model. 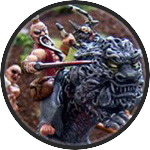 You can easily use it with miniatures that are in 28-32mm scale. The whole building has plenty of space to move your miniatures around, with several floors connected with stairs. All doors, window shutters and hatches are hinged and fully operational so you can open and close them to your liking. 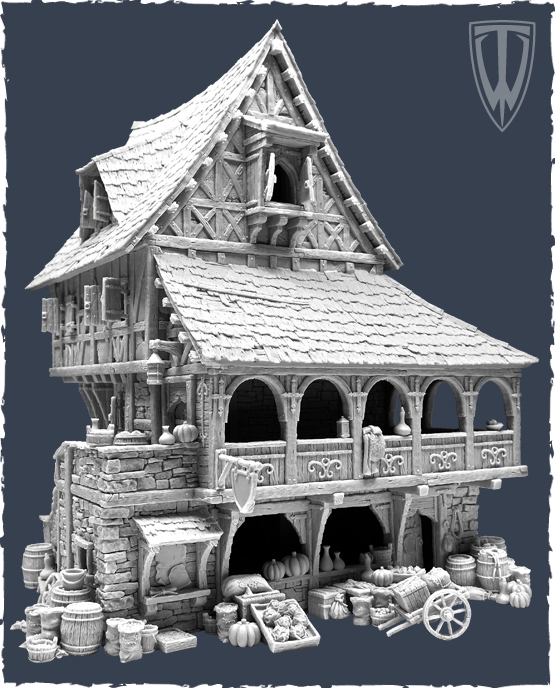 Résine Miniatures is a French manufacturer of 28mm scale terrain and scenery for historical and medieval fantasy games. I stumbled across their beautiful buildings on Pinterest where photos of their great work kept on appearing in my stream. It is rare that I find manufacturers that I hadn't heard of before. The photos show the Résine Miniatures logo but I couldn't find a website for them. Thanks to the messaging function of Pinterest I got into contact with Christophe Samuel, the man behind the company. While there is no website you can purchase Résine Miniatures products on Etsy and eBay. To get an impression of the products, my first order contained the Medieval Buildings #3 and #7, the tomb and door #4. 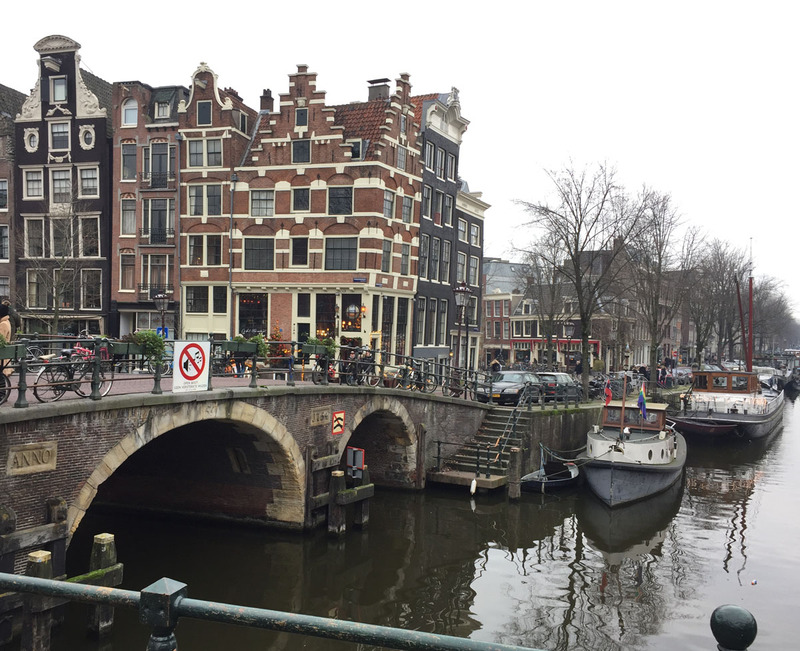 I spent the last days of 2018 in Amsterdam. As someone who is interested in old buildings and shipping, the city has a lot to offer in terms of sight-seeing and museums. Thus, the visit was my first inspirational boost for hobbying in 2019. 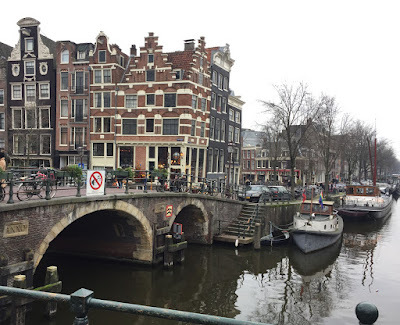 The most obvious and probably most famous thing about Amsterdam (marijuana consumption aside) is the grachten and the houses with their decorative gables. A few months ago, Games of War released some Spanish-style walls as the latest addition to their pirate buildings range. 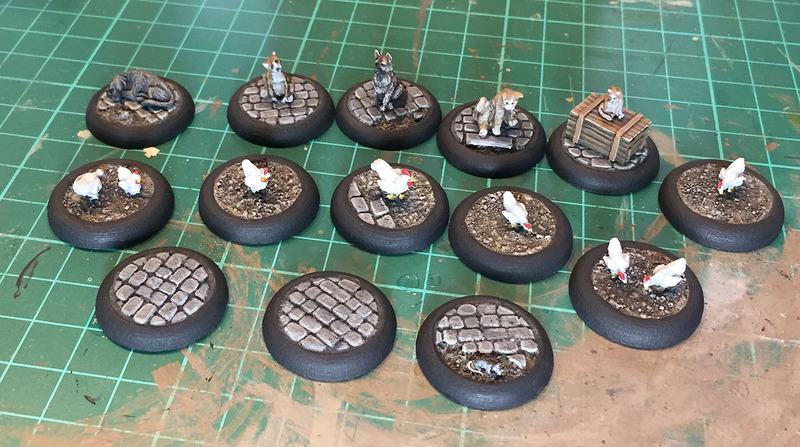 I finished painting my lot this weekend to show them off just in time as my last painting project for the year. I have been loving the products from Games of War for years now - not only their nice pirate buildings, but more so the fantastic ships and boats, such as the British cutter, the longboats and small ships. With the release of these walls they have expanded their buildings range which should be interesting not only for pirate games such as Blood & Plunder but for a variety of other settings as well. For a long time I have been wanting to do some animal tokens. Now I finally had the time to do some. 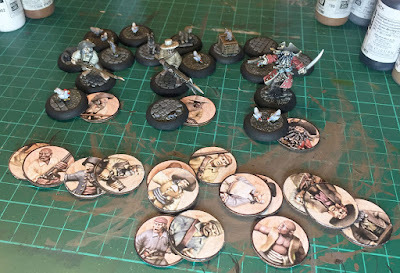 So what to do with these bases? In a number of scenarios that we play, the characters can move across the board unseen. Sometimes they hide as civilians, sometimes they move as shadows or street animals. 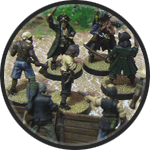 For each of my pirate crew members I have one respective character marker on a 25mm round plywood base. These markers are secretly placed under Civilian models or under these new animal tokens. 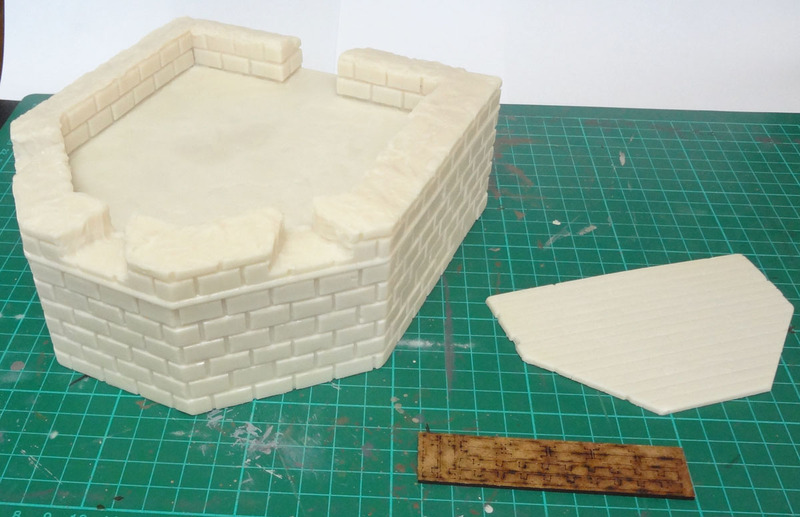 In this post I take a look at the battery terrain piece which was produced by Slug Industries as part of a kickstarter project for their Spanish Fort. In my recent review of the 28mm Spanish Fort I already mentioned that I also got the battery piece that was funded via the kickstarter project. The battery is a solid piece of resin. Aside from the main piece there is a planking piece, similar to the one that was provided with the Spanish Fort, and an MDF kit for a ladder - again, same as with the fort. So, beside filing off a few sharp edges and assembling the ladder, there is no further assembly required. "Originality is nothing but judicious imitation." Bau eines Daches für Dunkelstadt - Schenke "Färbergasse"
The images of the depicted miniatures is no challenge to copyright ownership. Links to the manufacturers are given whenever possible. Yet, if additional links are required, or they wish any images to be removed from this website, please contact me. 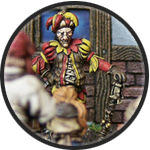 © cianty's Tabletop Wargames Blog. . Simple theme. Powered by Blogger.